- Why was a consensus needed for the diagnosis and management of rhinosinusitis? - Until now, we did not have any agreed recommendations about how to address this health problem and, in fact, we even had problems in defining what rhinosinusitis was. This no doubt creates significant practical problems. Thus, although we had a very extensive treatment armamentarium, it did not always meet patients’ needs and demands. Faced with such a situation, the experts were duty-bound to draw up a consensus document. 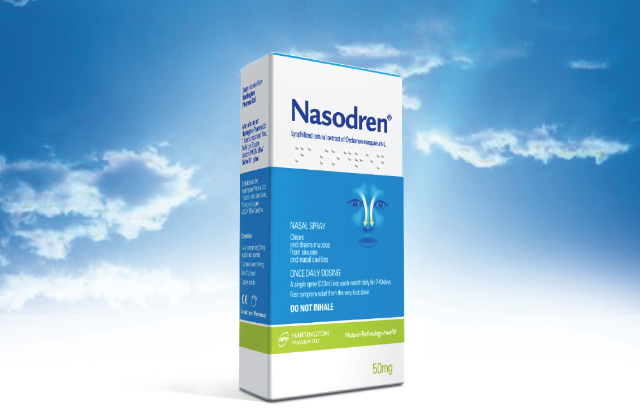 - This document has sought to put a logical order to the medical procedure that must be followed in the detection and management of rhinosinusitis. - That’s right. It was something that was absolutely necessary, particularly considering the fact that many of the drugs that were being used routinely to treat these patients had not been tested properly for efficacy. Worse still, in many cases, antibiotics were being used without any control when in actual fact they weren’t necessary. We cannot accept patients with rhinosinusitis being prescribed or taking treatments that are not backed by scientific evidence. - Basically, what does the EPOS consensus consist of? - Faced with this lack of guidelines both in Europe and in the United States, it was considered necessary to create guidelines based on scientific evidence. Work had already started a few years before within the Academy of Allergology and Clinical Immunology (EAACI) and the European Rhinology Society (ERS) on designing certain basic guidelines for proper diagnosis and treatment of rhinosinusitis. At the same time, in the United States, a series of guidelines have been developed that are very similar to those included in the EPOS consensus. So we have now managed to put a little order in the management of rhinosinusitis, by clearly establishing when a particular treatment is indicated. - This is also very important. At last, experts are talking about the same thing when they refer to rhinosinusitis or when they say that it is an acute or chronic condition. In actual fact, these guidelines are not intended to be unchangeable rules that must be followed to the letter. Rather, this consensus seeks to establish a common language and design a broad highway with certain basic rules and which give a certain amount of flexibility. - The EPOS consensus talks about rhinosinusitis. Does this concept encompass all types of sinusitis? - It is true that we used to talk about sinusitis. However, in recent years, we have been learning that when there is sinusitis, there is always rhinitis too, so we currently think that it is more correct to say rhinosinusitis rather than just sinusitis. When a person has sinusitis, the nose is always affected too. - What should we understand by the term rhinosinusitis? - Rhinosinusitis is the acute or chronic inflammation of the mucosa lining the nasal passages and paranasal sinuses. - Is it possible to estimate the current prevalence of this disease in Spain? - The prevalence depends on whether we are talking about chronic or acute rhinosinusitis. In the case of acute rhinosinusitis, we consider that it is a complication that occurs in approximately 1-2% of the people who have a common cold. If we consider that about 90 million cases of common cold a year are recorded in Spain, it is estimated that each year there may be over a million cases of acute rhinosinusitis. In the case of chronic rhinosinusitis, the prevalence is approximately 10% of the general population. As a general rule, we can say that there about 4.5 million people in Spain with rhinosinusitis, although the severity is highly variable. - Turning to the new treatments that are appearing and which will appear in forthcoming years, such as those obtained from plant extracts, what can they contribute? - The effect of the various plant extracts that are being studied is essentially based on activating a reflex secretion which produces a natural drainage or irrigation. In the specific case of this plant extract-based product, there are a number of observations which give us reason to feel very optimistic. New studies are currently being designed which will provide conclusive information about its benefits and possible indications. In any case, it can be definitely said that it is a product that facilitates elimination of secretions and stimulates a reflex secretion. In this respect, we know that glandular secretions have significant intrinsic antibiotic properties. Coordinator of the Rhinology Unit. Hospital Clínic. Barcelona.